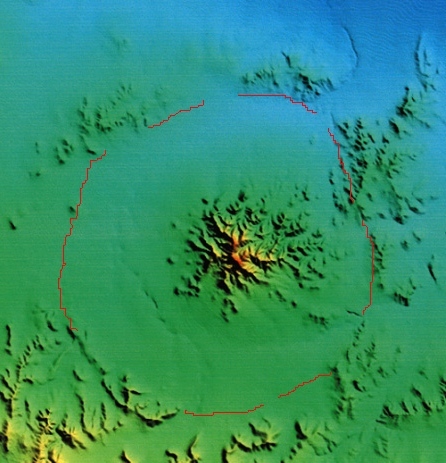 The Sierra Madera crater is a multi-ringed structure approximately 13 kilometers across. 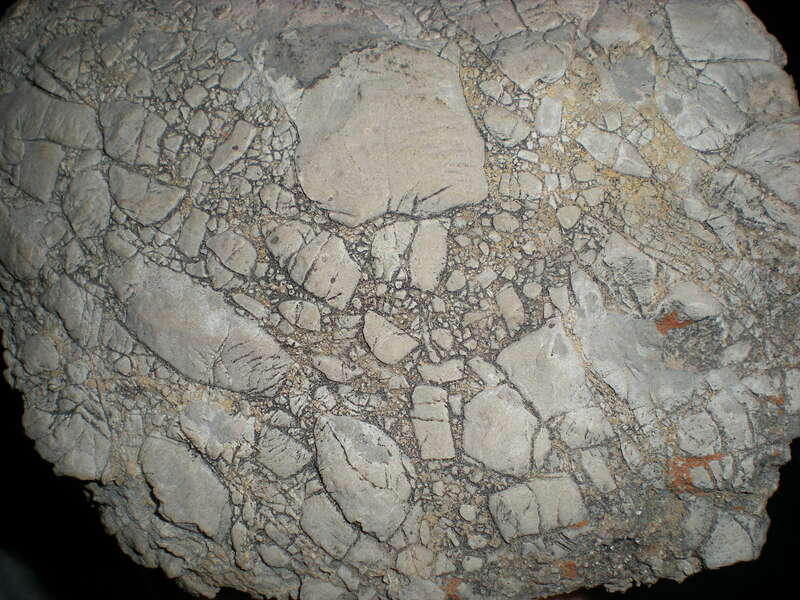 It is less than 100 million years old, and was discovered in the course of drilling for oil; it was thought that the uplifted rocks in the center of the crater might be a hydrocarbon trap, but cores revealed only surface deformation, and the presence of high-pressure breccias. 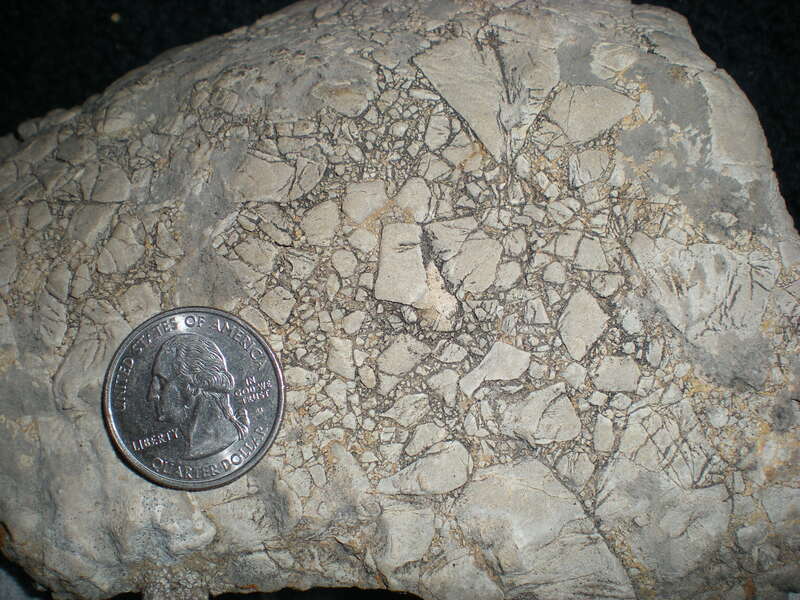 Deformational features and impact-generated breccia from the Sierra Madera, by Huson et al., 2011. 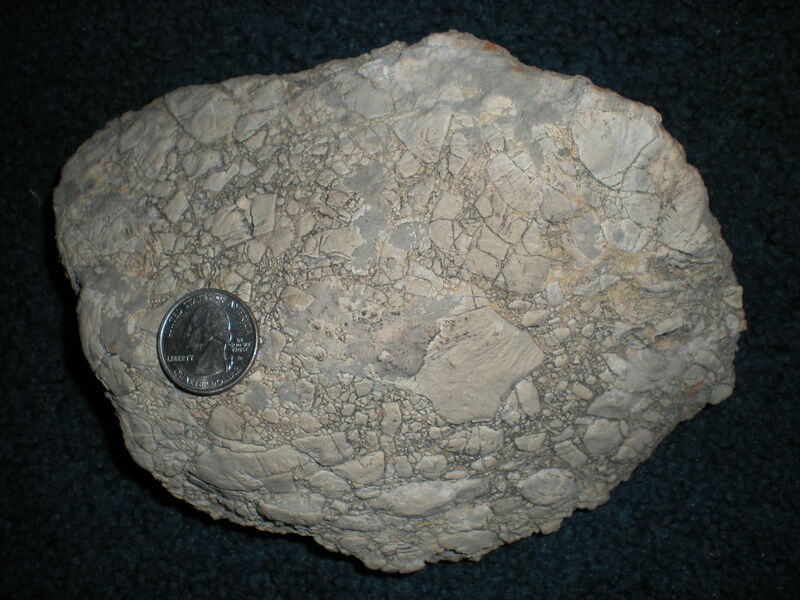 Here’s a ~3 kilogram piece of impact breccia from the Sierra Madera astrobleme. 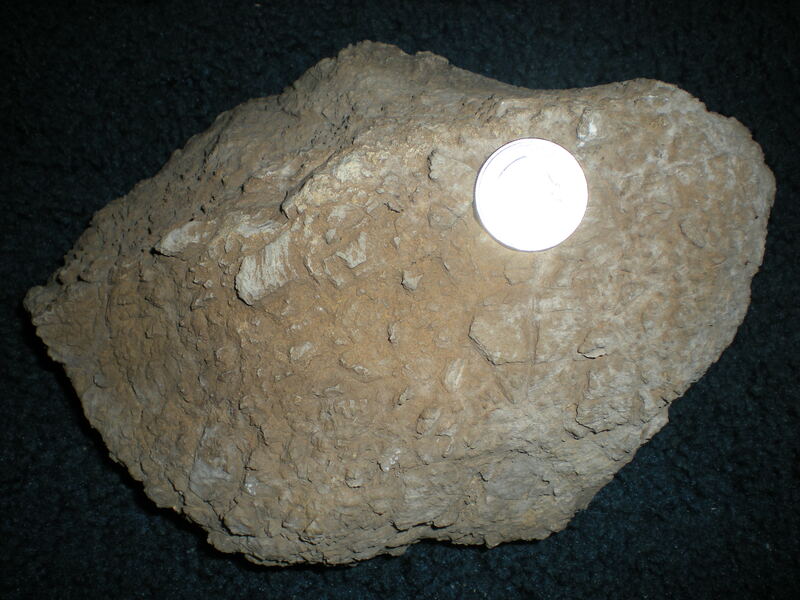 It was collected several years ago from public land near the impact site.